In the beginning, design was my casual hobby. Naturally, the process of making products that people enjoy using has become my greatest purpose. Since 2005, I have sustained business with happy clients including household brand names, agencies, startups, and even individuals by crafting their exceptional ideas into tangible realities. My services include UX, UI, apps, websites, logos, brands, prototypes, development and motion. 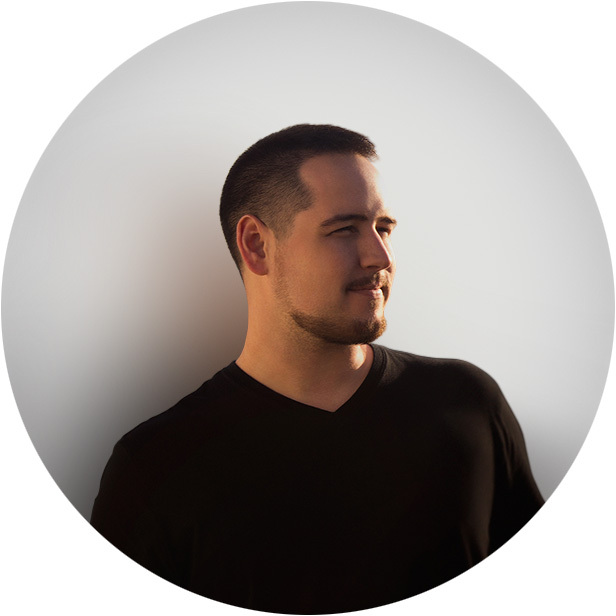 I'm a full-stack designer with entrepreneurial tendencies and a rooted understanding for the importance of user-centered design in an ever-changing world of digital experiences. My product-focused, private portfolio is available upon request. Brands I've had the pleasure of working with. Just some of the brands and clients that I've had the pleasure of working with since 2005. Skills, services and technologies that I practice. This word cloud highlights what I can provide for you, with the more prominent items highlighting my specializations. This list includes skills, services, technologies, platforms, software, languages, disciplines and deliverables. Do not mistake me for a jack of all trades; I just spend an unsually copious amout of time both learning and mastering as much as I can. Who I am, what I've done, and what I can do for you. You can view it online or print a PDF. 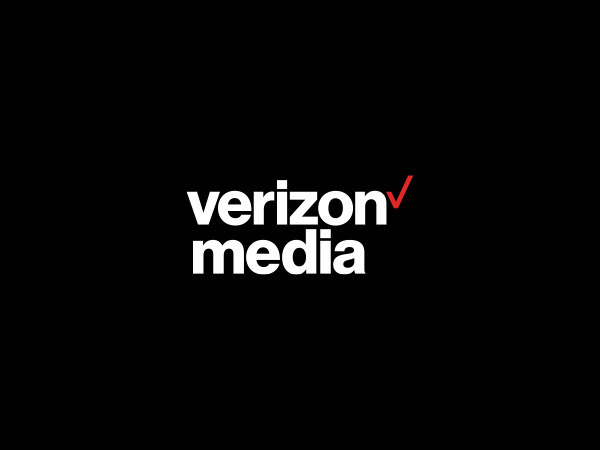 I presently work as a Senior Product Designer at Verizon Media (formerly Oath), a Media-focused division of Verizon that owns Yahoo, AOL, tumblr, TechCrunch, HuffPost, MapQuest and more. I work on the central Platforms Technology team that drives all customer-facing products. Additional details to be determined. 2018/05/07: Started working full-time at Oath. 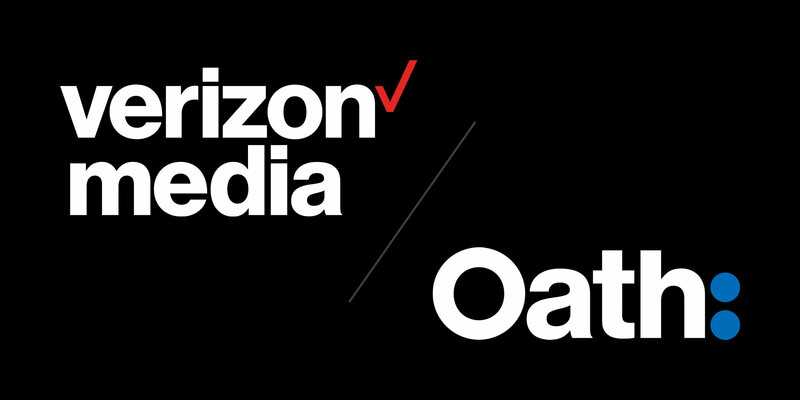 2019/01/08: Oath renamed to Verizon Media after reorganization. 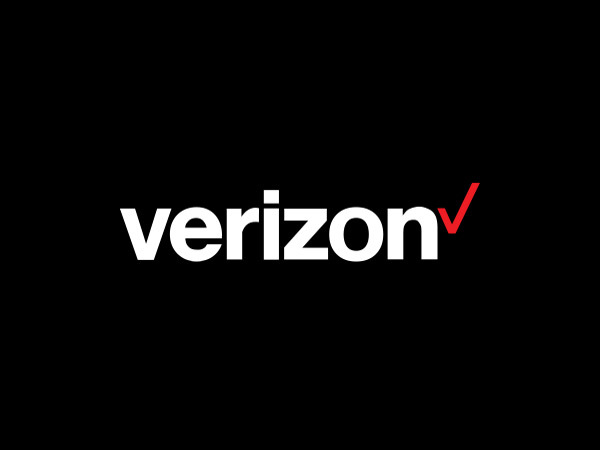 I worked at Verizon as a full-time Senior User Experience Designer and then rejoined the same group following a hiatus between 2015 and 2016 where I was focused on a major launch of my side project Encide. I have been involved with several teams including Product, Content Operations, and Curation & Customization. I reported to Design Lead + Art Director, Kirk McInroy. 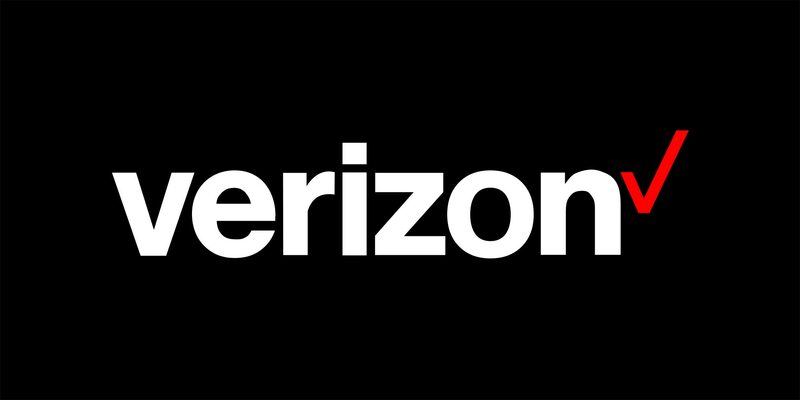 I presently continue to work as a Senior Product Designer at Verizon Media (formerly Oath), a Media-focused division of Verizon that owns Yahoo, AOL, tumblr, TechCrunch, HuffPost, MapQuest and more. I work on the central Platforms Technology team that drives all internal and customer-facing products. Additional details to be determined. 2014/02/24: Started working as a full-time employee after Intel sold OnCue to Verizon. 2015/05/08: Amicably left employment at Verizon to focus on Encide and personal projects. 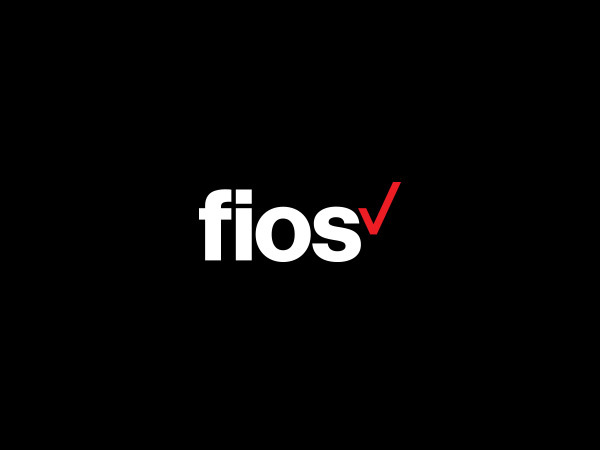 2016/11/21: Rejoined the same team at Verizon. 2018/03/30: Moved up to a Product role at Verizon Media (Oath at the time). 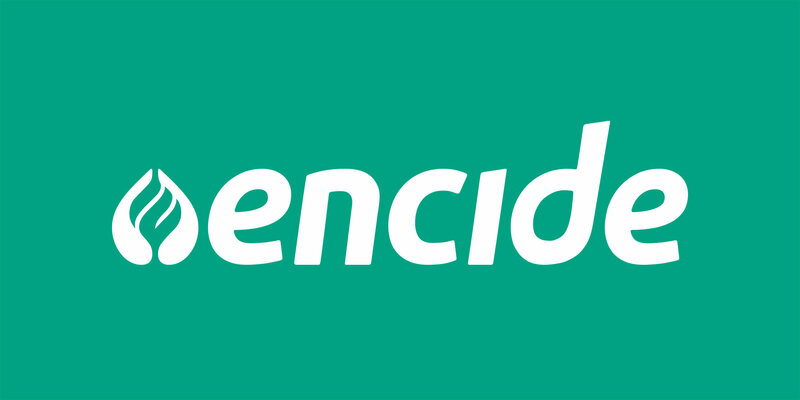 Encide is a design community that I own and co-founded with friends in 2008. We started as a forum, then grew into a blog-shop-social brand, and are currently an active Slack team. We help each other in our careers, network, and provide feedback on our work and strategies. 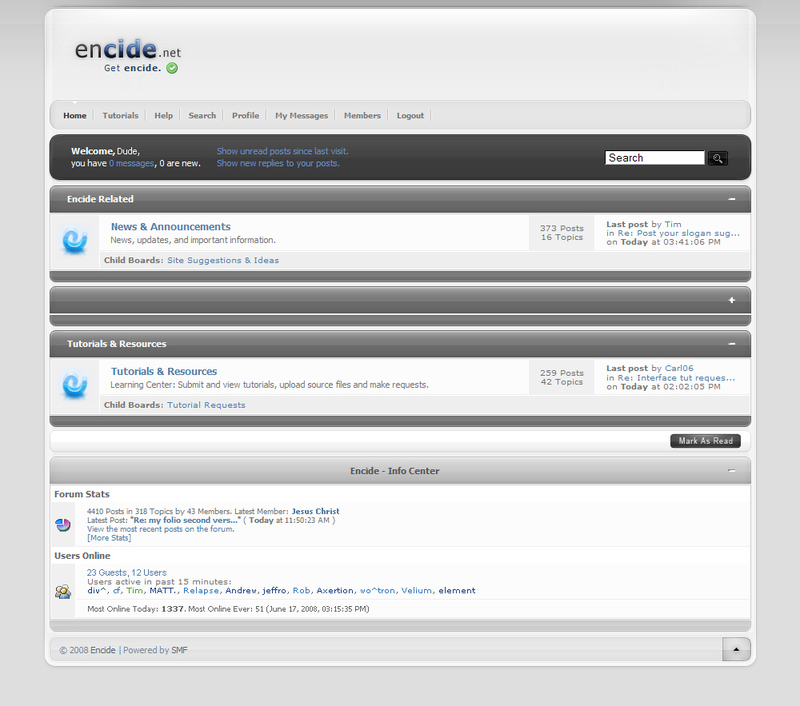 2008/04/02: (v0.1) The Encide website went live for the first time. 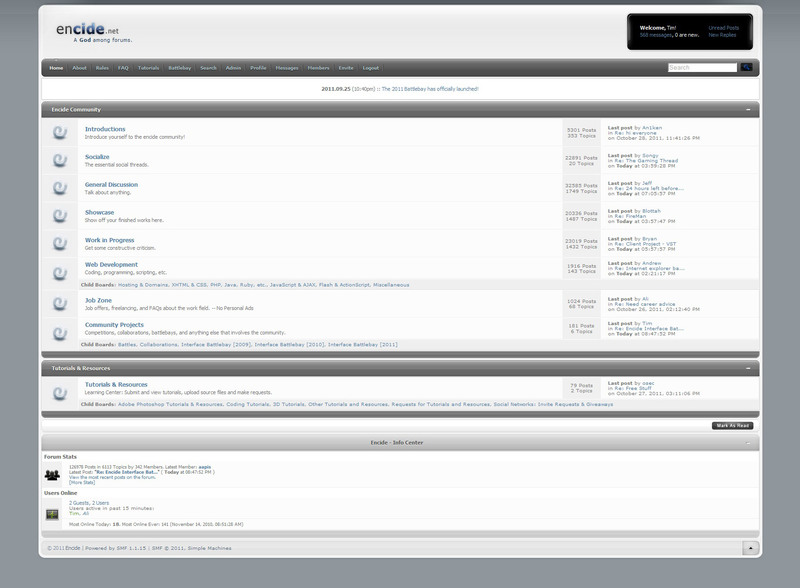 2008/04/14: (v1.0) Our forums, powered by SMF, went live. We consider this our birth date. 2016/05/26: (v2.0 Beta) Encide.net (using SMF) is migrated and launched over at Encide.com (using WordPress) as a quiet, beta release. This was a massive undertaking that took a year to plan and execute on. 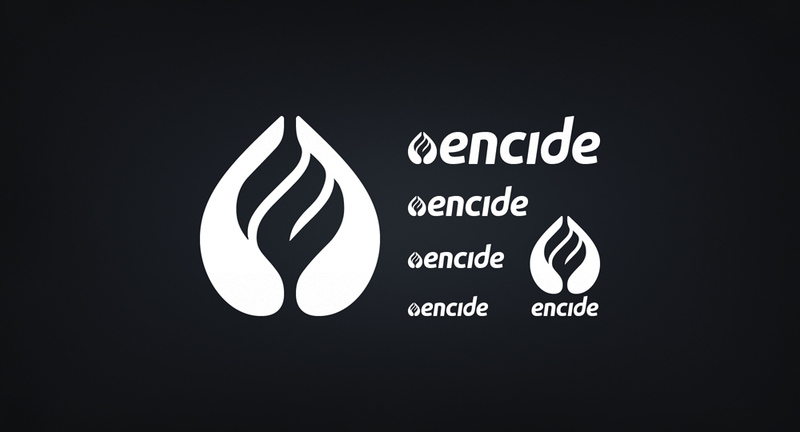 I created and maintain these brand guidelines for my company, Encide LLC. It is a living document that tells our story and details every aspect of our brand from the copy language, to the logo lockups, and everything else in-between. It is 50 pages long with raw, ongoing explorations after the appendix. 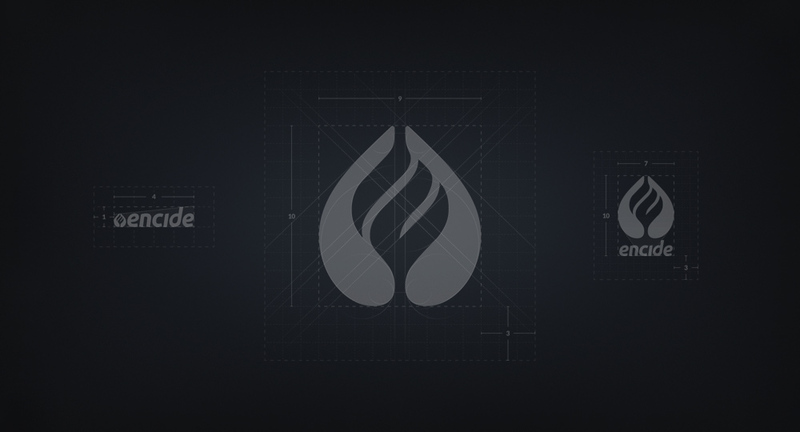 The first preview of the brand guidelines were posted privately to the Encide forums on January 27th, 2014. I first published the living document publicly on September 25th, 2016 (which was actually the August 23rd, 2016 version). This brand guide was last updated on May 1st, 2017. Encide was created by a small group of friends and I back in 2008. We all knew each other from other communities that came and went, and I wanted to maintain and mature the network we had all invested in. We quickly started considering name ideas and decided on “encide” after a few days worth of exploration. It is an invented name, reminiscent of the prepositional word inside. We often take advantage of that wordplay in our brand's touchpoints though our logo lockups, visuals, and copy. When we first launched a basic version of the website in early 2008, we used some temporary logos and icons. A year later, Jeff Nielsen, who also came up with the encide name, casually created an ec monogram that we adopted and used for several years. 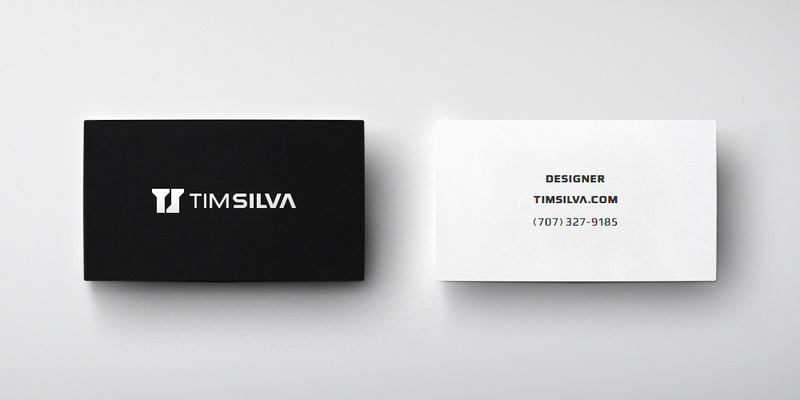 Eventually, as I grew as a designer, I wanted to create a more comprehensive brand identity system. In mid 2012, I began to casually draft logo ideas after my day job. A few thousands of hours later, I completely rebuilt the Encide brand, website, and social media experiences from the ground up in the largest project of my life. I document and show the story in complete detail though this monumental brand guideline document. It has 50 pages of richly detailed information, visuals, and even behind-the-scenes bonuses. I also included raw vector concepts from the earliest explorations up until now since I never really turned off the creative process, even though the current logo is shockingly closer to my strict definition of perfection than I ever expected to reach. 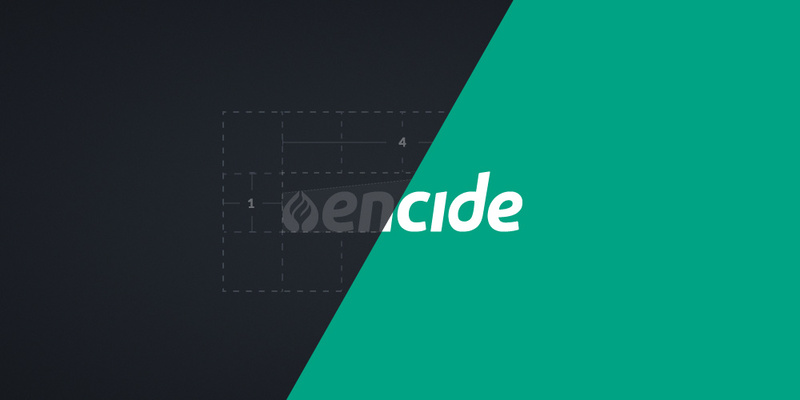 Encide is a design community and social network with a blog, a shop, and an invite-only forum. 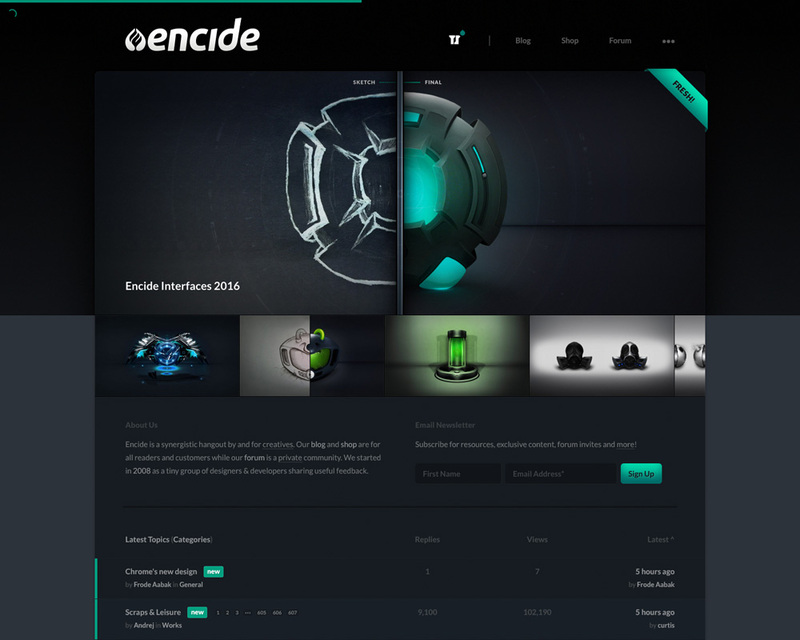 I designed the Encide brand and website entirely from scratch. The site is powered by WordPress core with BuddyPress for the social network, WooCommerce for the shop, and bbPress for the forum. 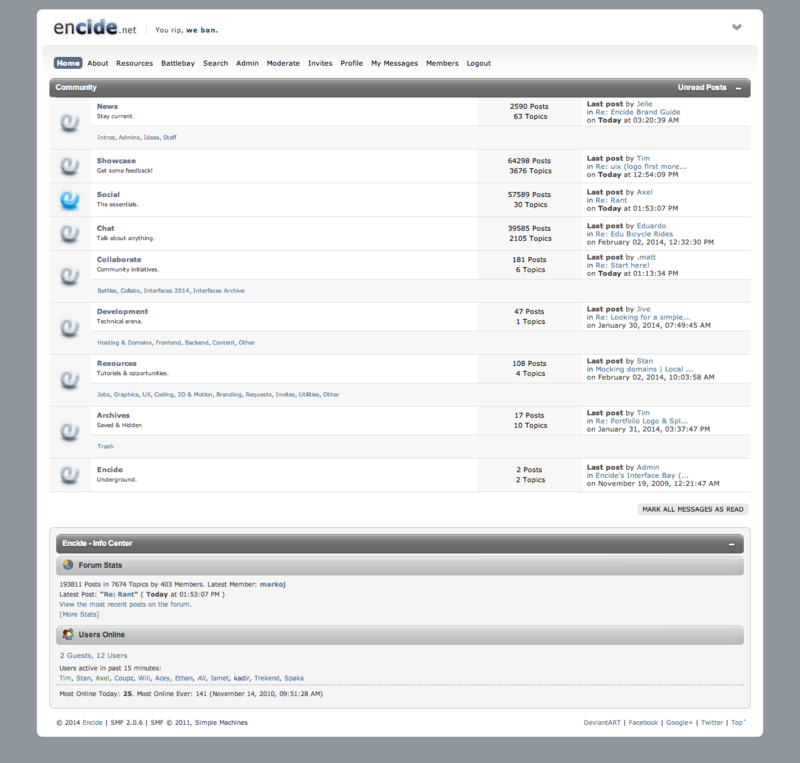 I also migrated the database of existing users and forum contents from an SMF forum I setup in April of 2008 (that was the first version of Encide). This has been a monumental, multi-year effort that utilized every skill in my arsenal and hundreds of new ones that I acquired through the hustle. Each section lives under a single CMS (WordPress), and each page is responsive to support any device (there are hundreds of thousands of pages across Encide). The design features one of the most advanced and scalable navigational systems that I am currently aware of. Every interface element has smooth easing and animations, and the design was crafted alongside the brand's guidelines, so the colors and visuals are consistent and aesthetic for all pages and touchpoints. A signature styling behind this redesign was the balance of minimalism with intelligent usage of shadows, gradients, and textures. Above is the information architecture for the website. 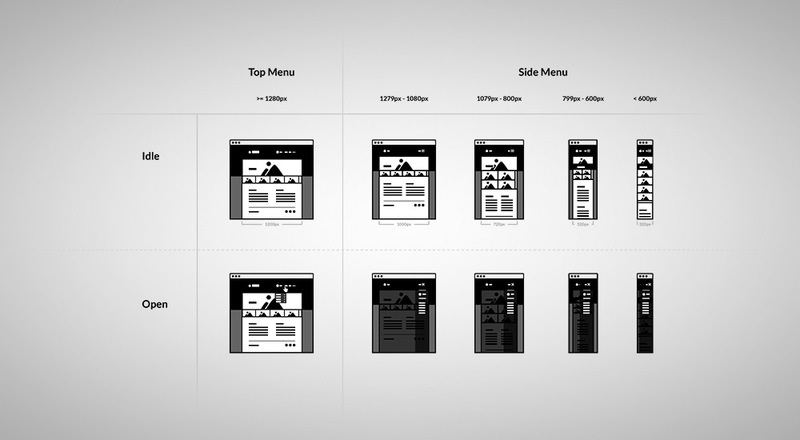 Below is an overview of how the responsive interface supports all viewports and device sizes. Below is a real screenshot of our community. 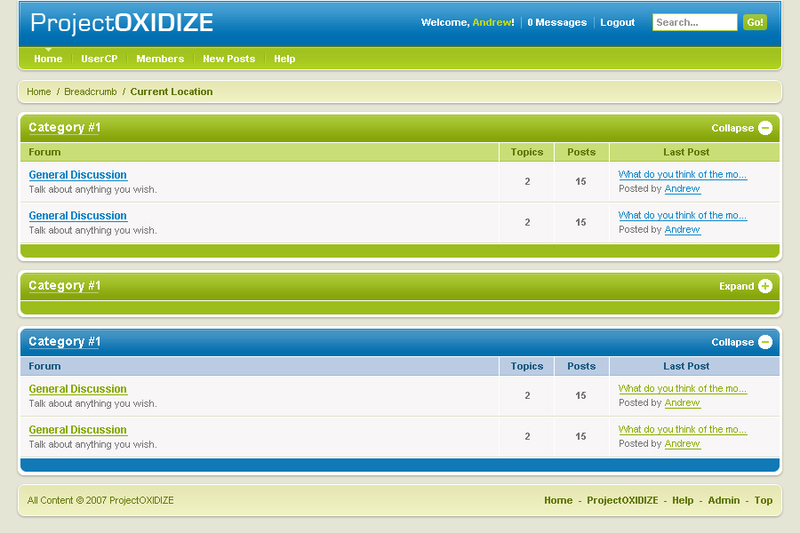 This is a “Latest Topics” view at the /forum/ directory instead of the traditional “Categories” view. In early 2008, a few members from existing design communities (like Mished, OxiFORUM, and DeviantArt) pulled together to find a more stable home. 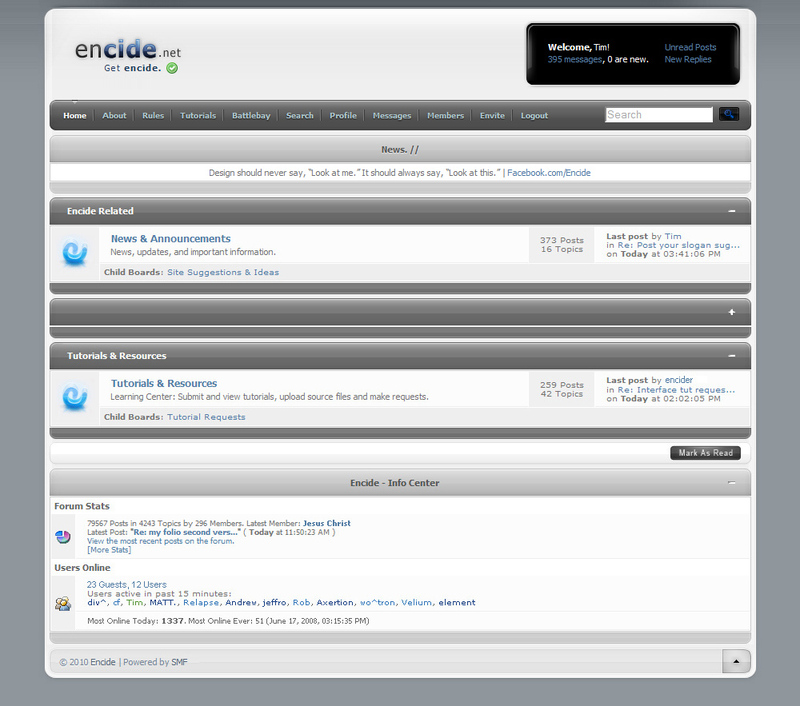 We agree upon the name Encide, and I took the lead for bringing the website live (more info @ encide.com/history). 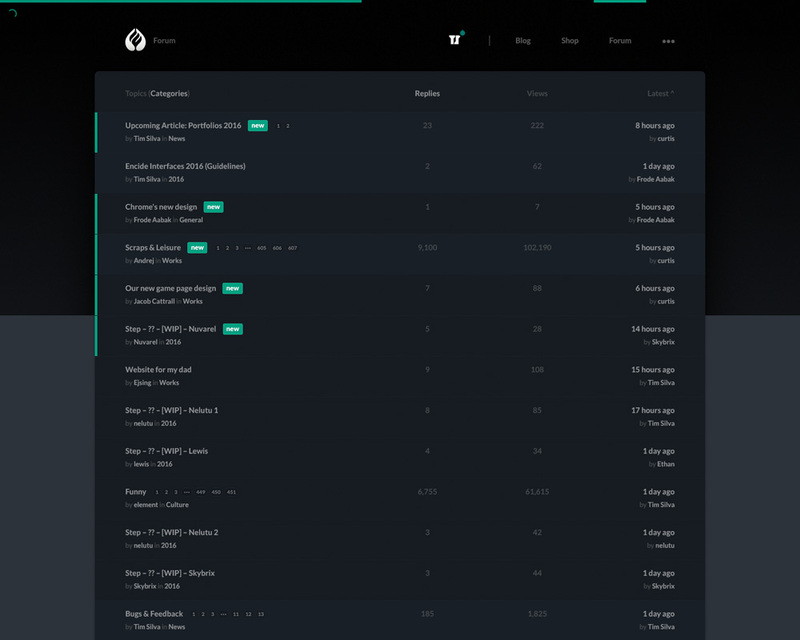 In early April, I put up a temporary splash page with a shout box, and then on April 14th, the forums (powered by SMF) went live. 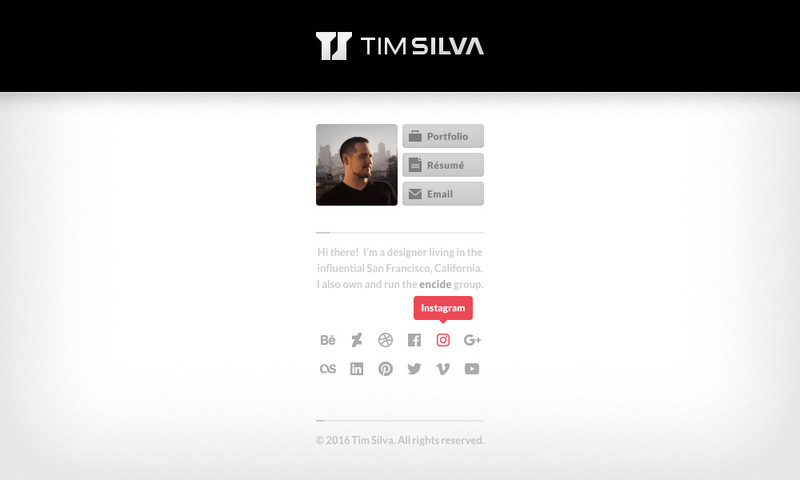 At first, we used a free template for the website, but in May I started a complete redesign. 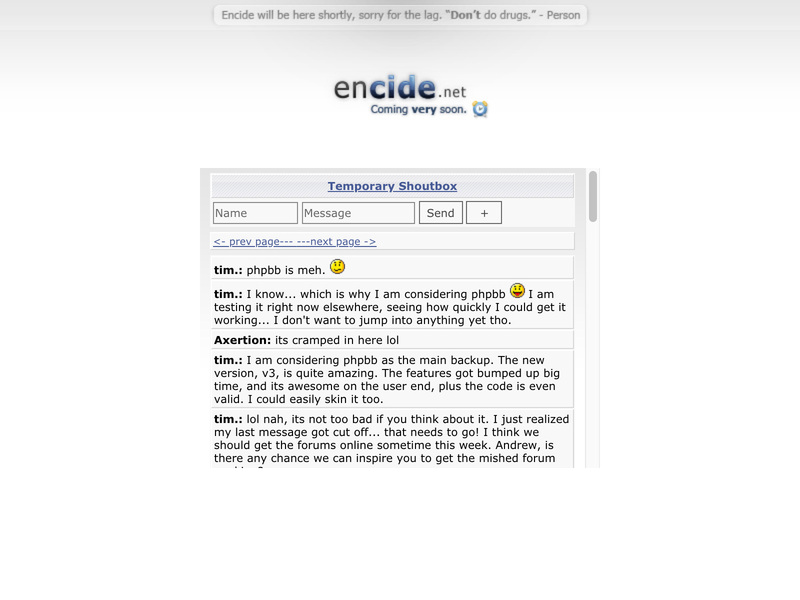 On July 29th, 2008, the Encide themed template was launched. This template was maintained and revised several times between 2008 and 2016 when v2 (on WordPress) was launched. Significant changes: 2010 | 2011 | 2014. By the end of the SMF and Encide.net's life in 2016, we had over 200,000 posts in over 10,000 topics by over 400 users. 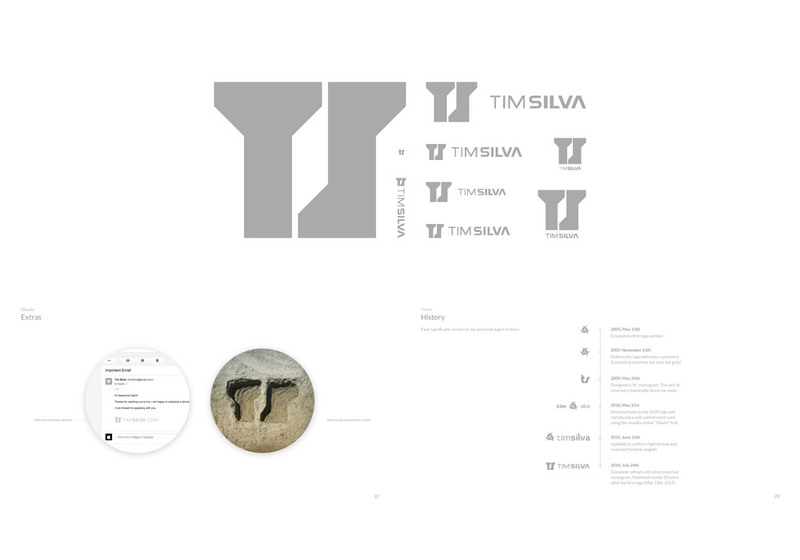 I began the process of designing a personal brand and visual identity system during 2013. I knew that I wanted a simple yet interesting monogram that was paired with a wordmark in a variety of lockups. So between early 2013 and mid 2014, I began to casually sketch TS monogram ideas and collect as many variations of those two letters as I could find. 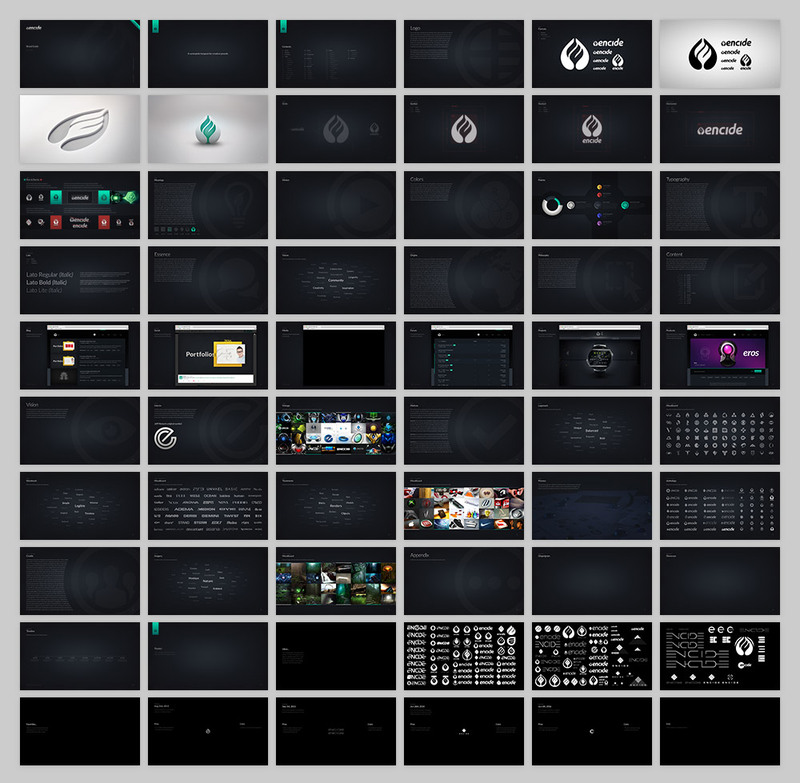 In June of 2014 I started to vectorize these ideas, and on July 24th, 2014, I arrived at 95% of my final logo. 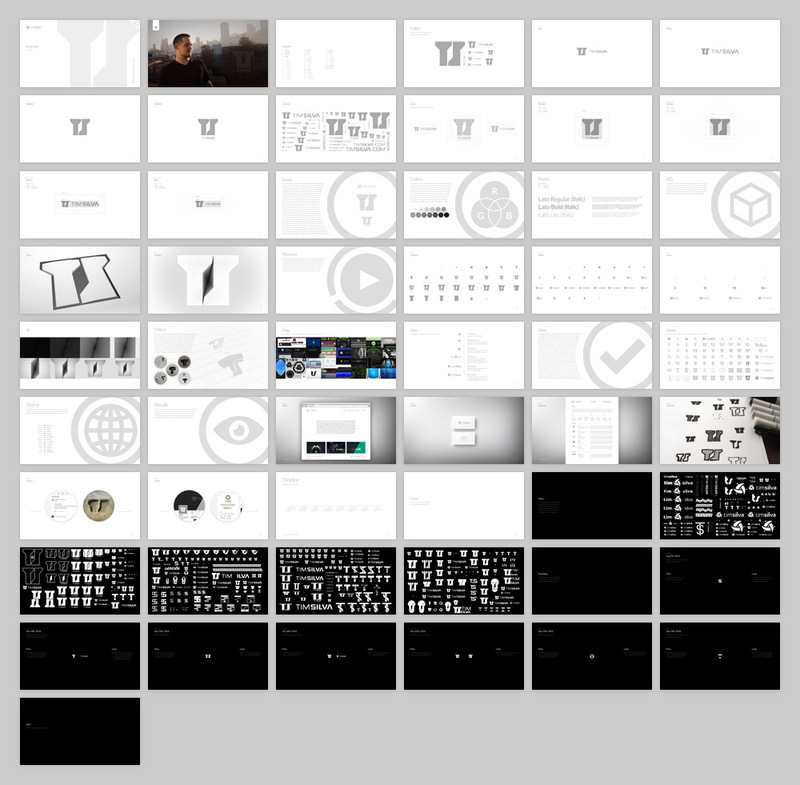 I spent a few days making micro-adjustments, and on July 30th, I started to craft the brand guidelines document. 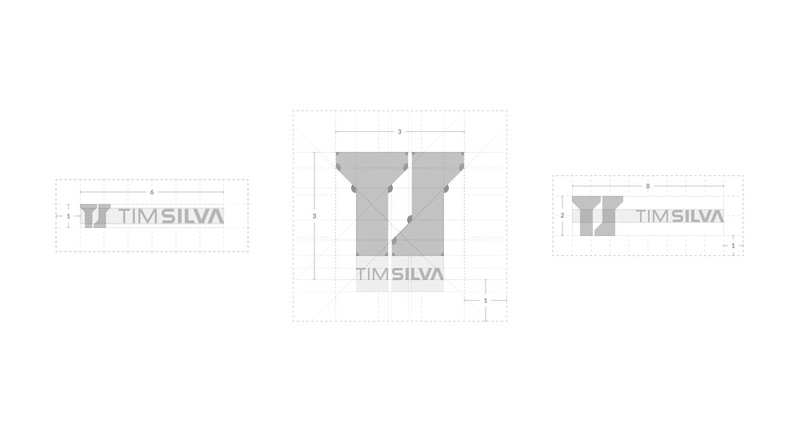 On May 15th, 2015, exactly ten years to the day after creating my first logo, I unveiled my new logo in the form of a brand reel (motion), a website redesign (v11), and social media avatars. I first published the living document on August 25th, 2016 as a part of the v12 redesign. 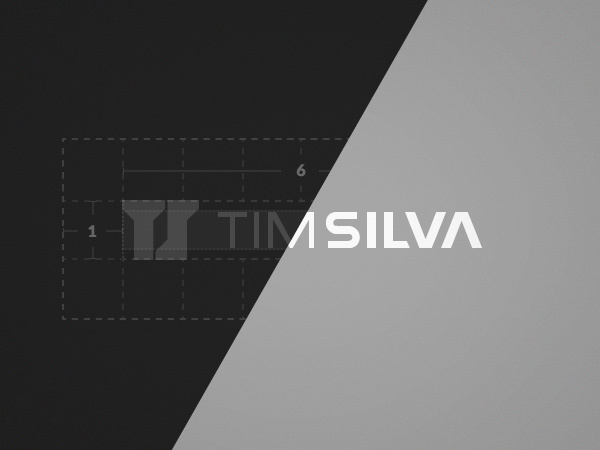 I created this brand reel for my 2015 personal rebrand. I published this video exactly 10 years to the day after I created my first logo. 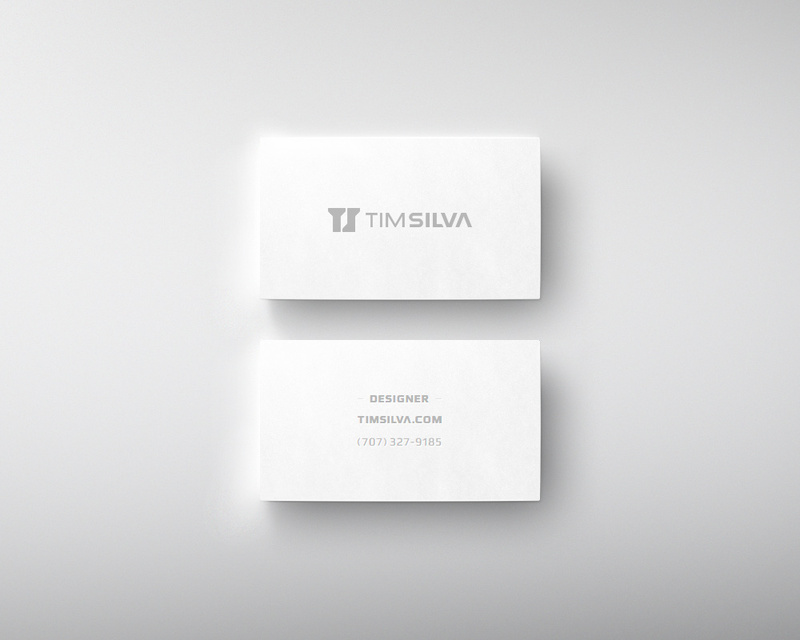 These minimal business card mockups were crafted during my personal rebranding efforts. 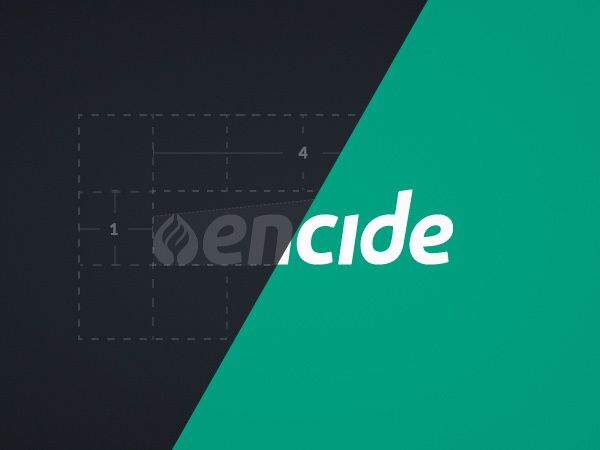 I made the source file available for free in a blog post on Encide. I have created multiple orientations and variations of the mockup set. 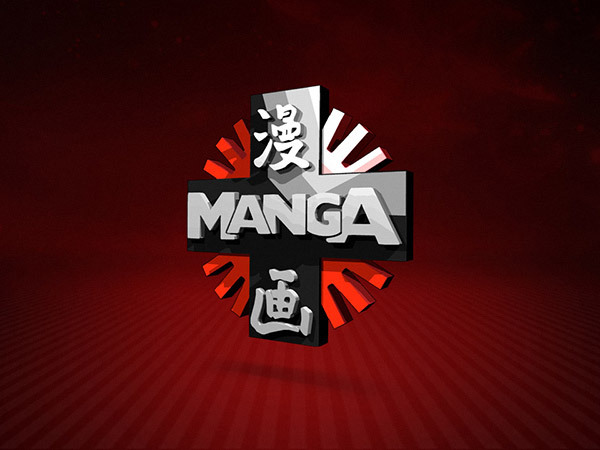 I started designing in August of 2004 when I was 16 years old. Before that, I spent roughly three years filming, editing and producing videos. I developed a habit of consistently archiving and documenting everything that I created during those years which is something I continued to do when shifting into design. 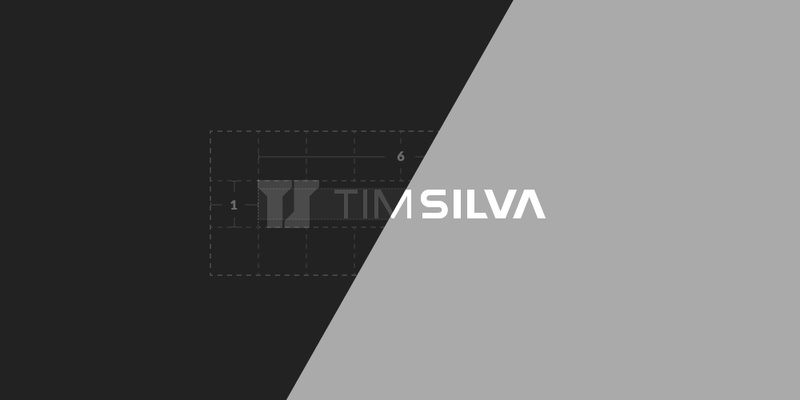 As a result, I have archived every version of this website since I first began using the timsilva.com domain in May of 2005. 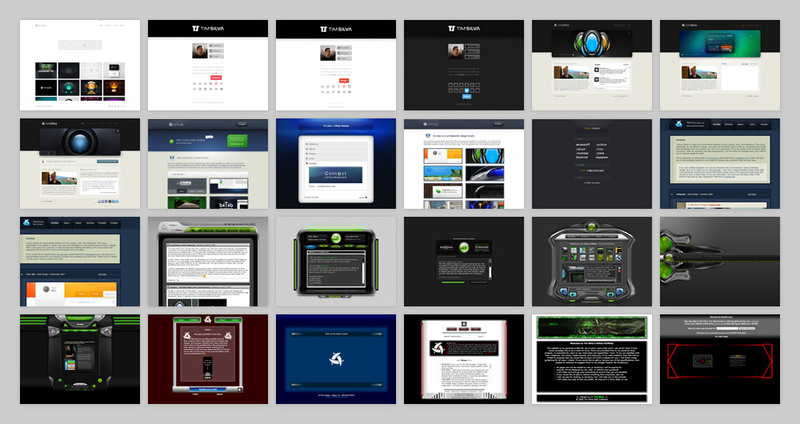 This current website is v12, so as of ~2016, I have averaged about one major redesign per year while always making sure to design and develop the latest version in such a way that it can be easily archived. This experience has taught me how to write more future-proofed code. Thus far, I have enjoyed the nostalgia of reviewing which trends I embraced or fought against; decisions that all creators of content must make. It is also a great way to understand what has changed or stayed the same about the practice of web design since I got into the game. Splash pages, hit counters, award badges, flash, pixel fonts, site maps, links to validation services for (Strict) (X)HTML/CSS (to prove you are legit! ), visible site versioning, lengthy footer legalese, loading sequences, carousels, accordions, and links to defunct networks, profiles, or accounts (AIM, MySpace, DeviantArt, etc…) are rarely seen today. Comparatively, many of the same basic ingredients and building blocks have essentially stayed consistent with some subtle trend waves and updated technologies. These durable elements include: logos, headers, navigations, bodies, social media links, footers, and standard copyright legalese (which often are used to create a sense of gravitas and professionalism, even though they aren't legally required to inherit critical protections). Note: If you find it at all interesting to explore through my old/early works, I have also uploaded a large percentage of it on my archived DeviantArt accounts (krazytim [2006-2009], and timsilva [2009–]). As of 2016, designers don't use DeviantArt as much (we use Dribbble, Behance, Cargo Collective, Instagram, Twitter, etc), so I most likely won't post work there in the future. Luckily, DeviantArt is kind enough to archive these posts for free, for now. Following Wix's acquisition in February of 2017, it seems safe moving forward. 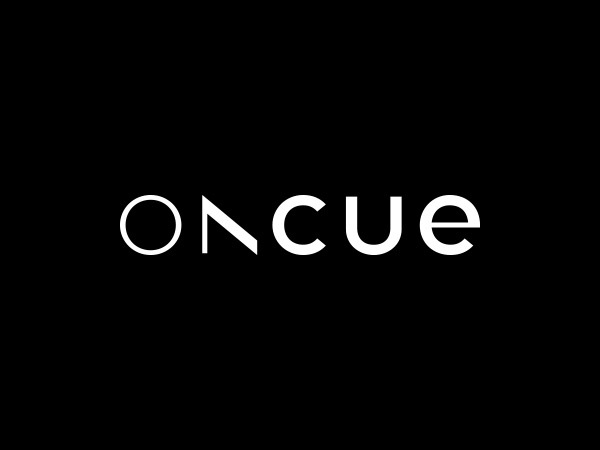 OnCue (wiki) was a set-top box (STB) platform for Intel's over-the-top (OTT) media product and service initiative that was sold to Verizon in 2014. More details to be determined. 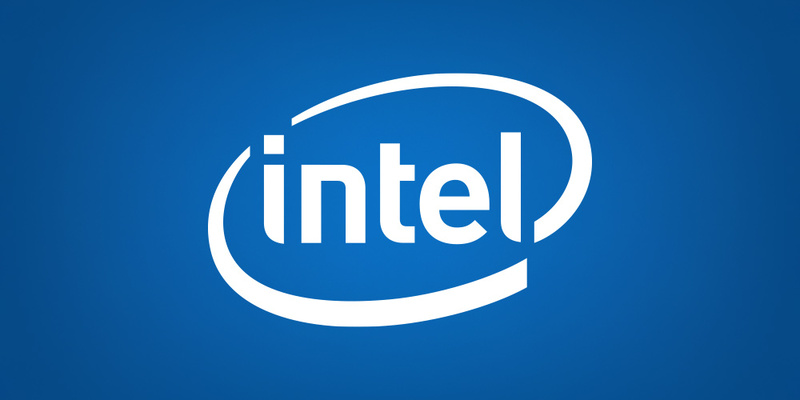 I worked at Intel as a full-time Senior Interactive Designer and a core member of the internal Apps Team. Our group was comprised of the former owners and employees of Archetype which Intel had acquired; I reported to Creative Director, Guido Rosso. We were brought in to design and engineer a set-top box (STB) platform called OnCue (wiki) for Intel's over-the-top (OTT) media product and service. 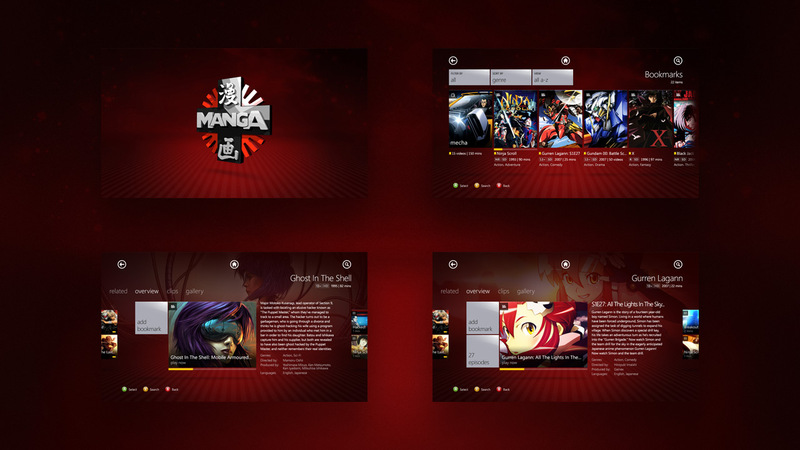 The platform was designed to support television, series, films, games, apps, social, and more. Our team led discovery, design, and development for the 10-foot user experience, the product websites, and the family of mobile and tablet applications (iOS and Android). 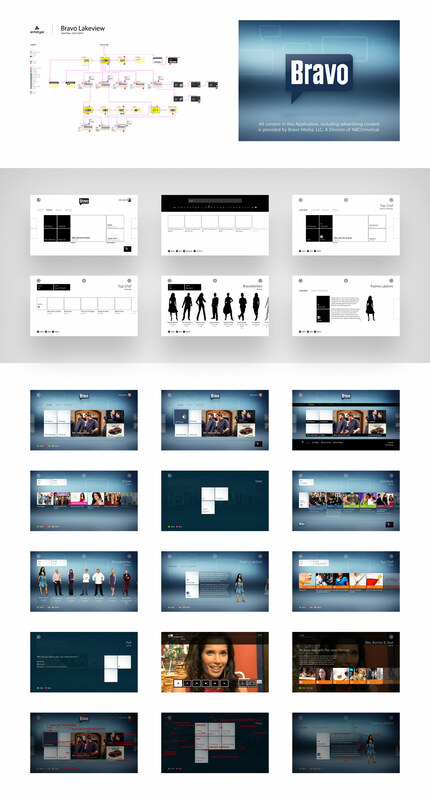 I created hundreds of user flows, information architectures, interaction models, wireframes, mood boards, design compositions, content artwork, channel logos, visual assets, prototypes, and documentations across all of the product offerings. Our team reported to Erik Huggers, Vice President at Intel. 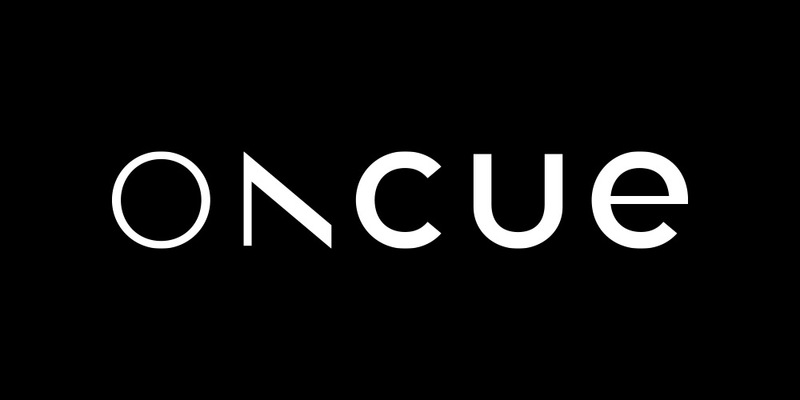 Much of the OnCue team was made up of ex-Apple and ex-Microsoft employees. The product, called OnCue, did not reach the market under Intel's ownership. The teams, products, and services of OnCue were sold to Verizon in early 2014. Our team continued on to Verizon. 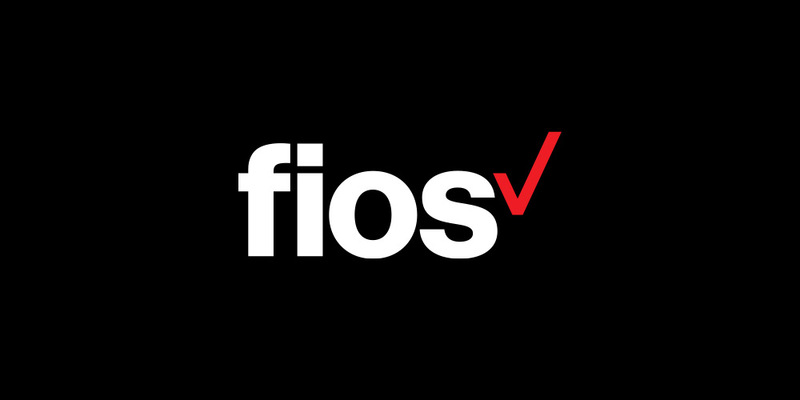 The products and services were substantially pivoted and later released as go90 (wiki), while Huggers went on to become CEO at Vevo. I worked at Archetype as a full-time Interactive Designer working under Chief Creative Officer and Founder, Guido Rosso. My responsibilities were to contribute and help present UX/UI deliverables to product/project managers and stakeholders on the client-side. I would collaborate with our team of producers and developers to construct information architectures, user flows, mood boards, wireframes, design compositions, interactive prototypes, guidelines, and assets for both internal and external products. 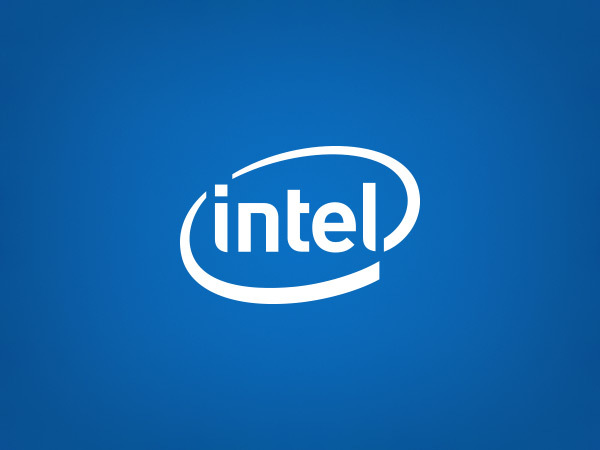 Less than a year after joining full-time, Archetype was acquired by Intel. Strategically, the four founders (Danny Riddell, Michael Lucaccini, Guido Rosso, and Luigi Rosso) decided to focus on Microsoft platforms. My contributions leaned heavily towards applications built for Xbox (360), Microsoft Windows (8), Windows Phone (7), and websites targetted for Internet Explorer (IE9). Given the buzz around the iOS and Android markets at the time, we were able to work with leading brands in niche markets through word-of-mouth from Microsoft evangelists and adjacent networks. Note: The Archetype logo (as seen above) and brand was designed by Guido Rosso. 2011/04/22: My first day working at Archetype. 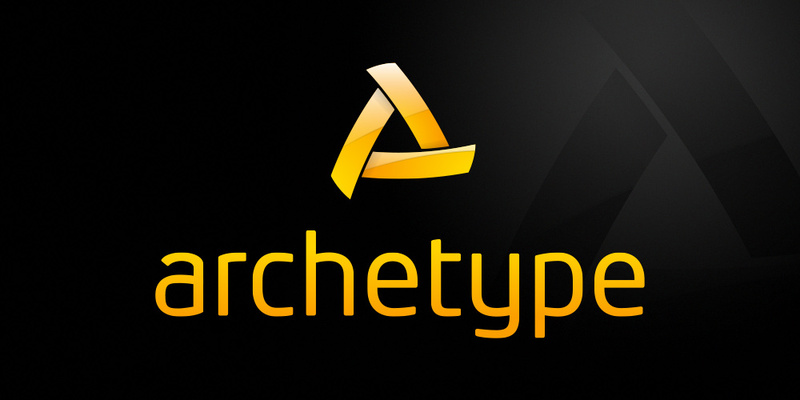 2012/05/21: Archetype is acquired by Intel. 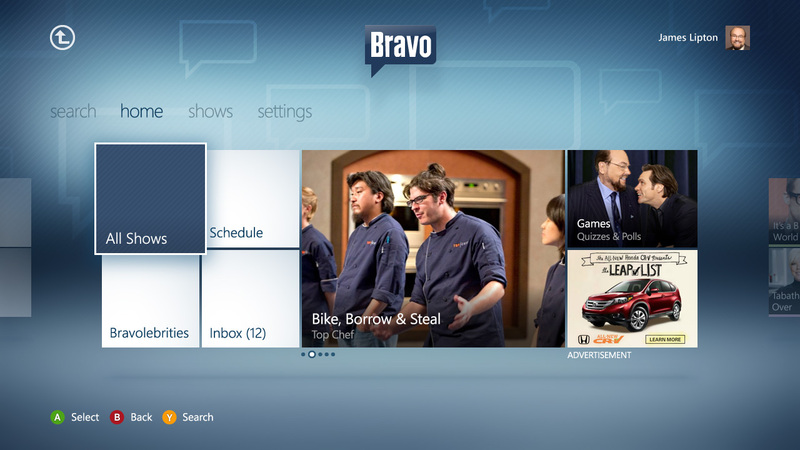 I was leading the UX/UI design for Bravo's Xbox 360 application at Archetype. 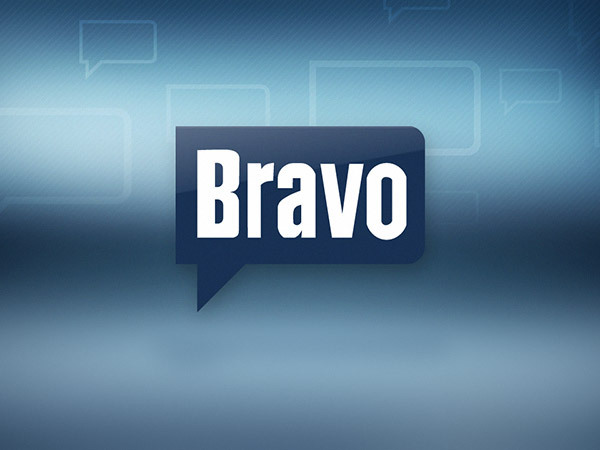 We kicked off the project by running due diligence on existing Bravo applications across various platforms. I succinctly proposed an information architecture that was both consistent with existing applications and appropriate within the Xbox XDK/Lakeview ecosystem. From there, I produced low-fidelity wireframes to map out the entire user experience and surpass technical reviews. I then composed an 80 page functional specification (with wireframes and designs), a style guide (for icons and assets), a 10 page redline specification (measurements, spacing, font sizes, colors, etc), and provided key assets for development. The largest challenge of designing for the Xbox platform was ensuring that the designs would scale to support the natural user interface (NUI) requirements for Kinect's hand gestures, voice commands, and standard DPAD controls. These required unique visual states and animations for each screen within the flow. 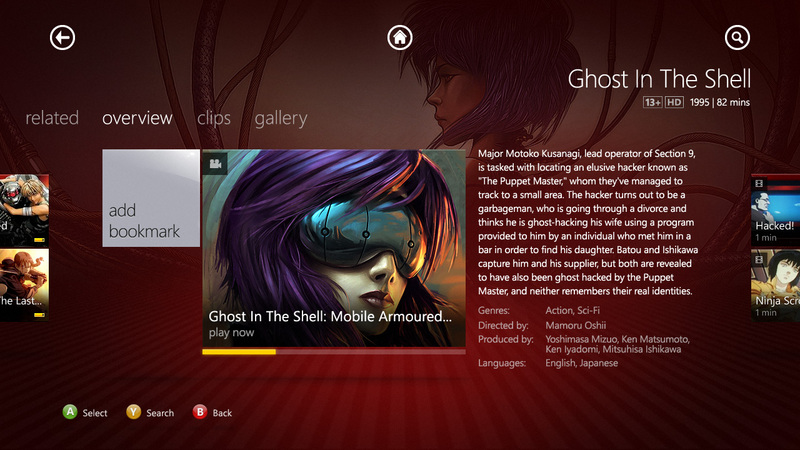 This included everything from the landing pivot to deep-level modal overlays. I also produced a large user flow and application map with back-stack guidelines. 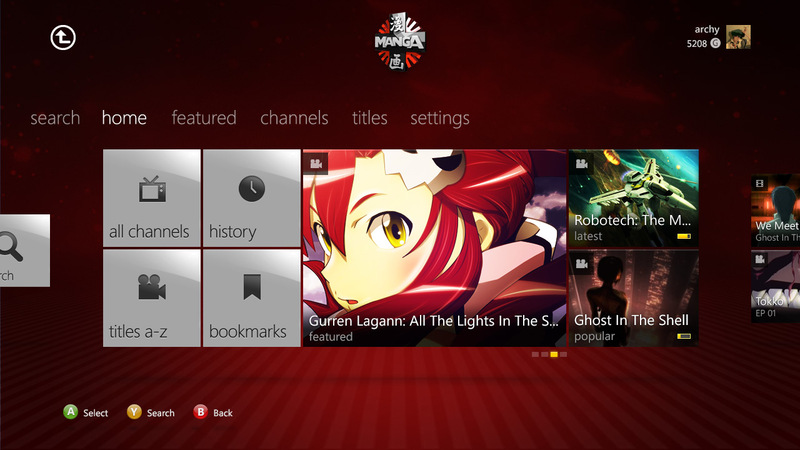 I led the visual design for the Starz Manga Xbox 360 application at Archetype. 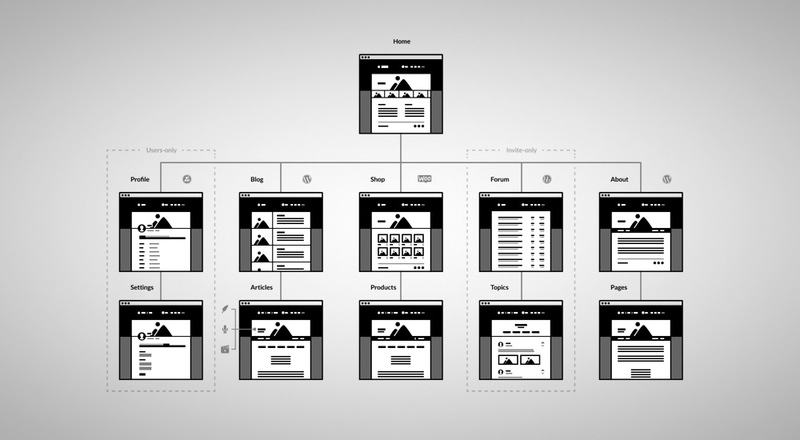 I added a visual layer of style onto existing wireframes and produced assets to be used in prototypes and production. It was developed by Starz and released in May of 2012. An application reviewer created a voice-over walkthrough on YouTube with the first shipped version. You can watch the end result in action!